The Ariat® Barbwire offers a tough style ideal for the modern cowboy! Distressed leather belt with intricate stitching detail. 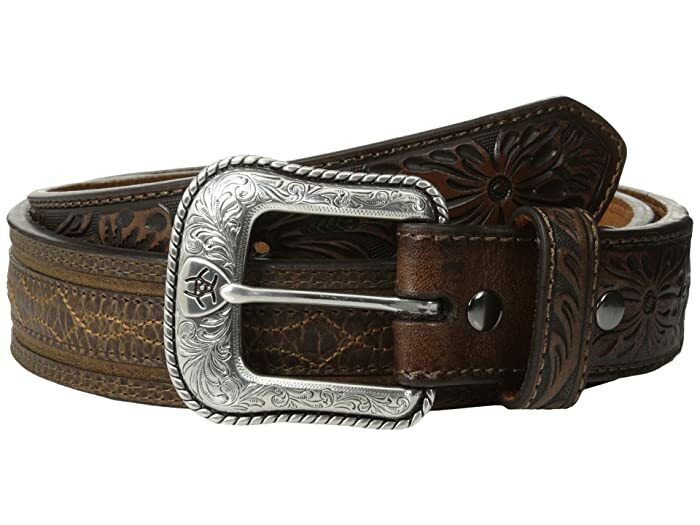 Silver-tone buckle with crystal accents and floral tooling.